The Crowd Theater is open seven nights a week. Come see a show tonight! 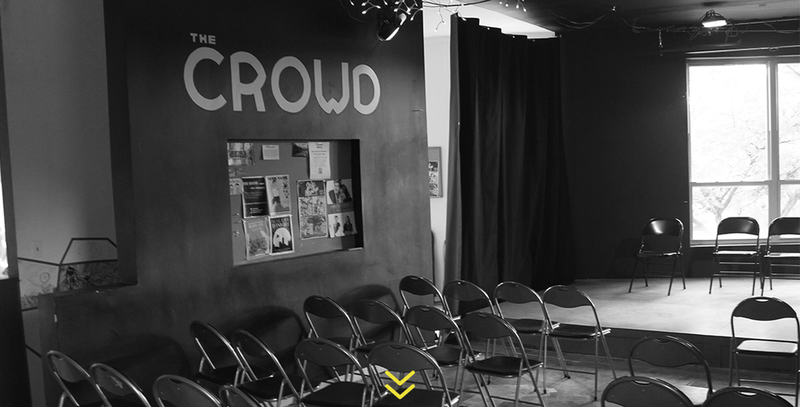 The Crowd is a fifty-seat black box comedy theater in the heart of Lakeview. We host funny shows, sad shows, shows with music, and sometimes we just get all of our friends together and sing karaoke into the night. Our goal is to capture the atmosphere and intimacy of your friend playing guitar in their living room combined with the amenities of a larger theater space. The Crowd puts up two shows a night, seven nights a week - come see what the buzz is all about! The Crowd is touted as Chicago’s ONLY improv comedy theater, and we’re known far and wide for our legendary hot wings.